Get Rid Of Absolutely ANY Fear, Overnight! LET GO of ALL your limitations and enjoy FREEDOM from your FEARS as EARLY as TONIGHT! CHANGE the way you think, REVERSE your negative feelings, BOOST your self-esteem - you control EVERYTHING that you do! PUT yourself in the DRIVING SEAT! EXPERIENCE a NEW and POSITIVE YOU! Don't let a little thing like sleep keep you from conquering your fears. 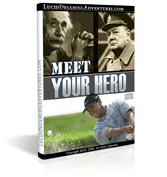 Let the power of Lucid Dreaming make you the master of your destiny TONIGHT! Grab the Getting Rid of Fears CD TODAY and LEAD A FEAR-FREE LIFE! Interested? Purchase YOUR copy of the Getting Rid of Fears CD today for JUST $28.95.